While the iPhone fueled the most successful run in Apple’s history, Steve Jobs started to focus his attention on netbooks. 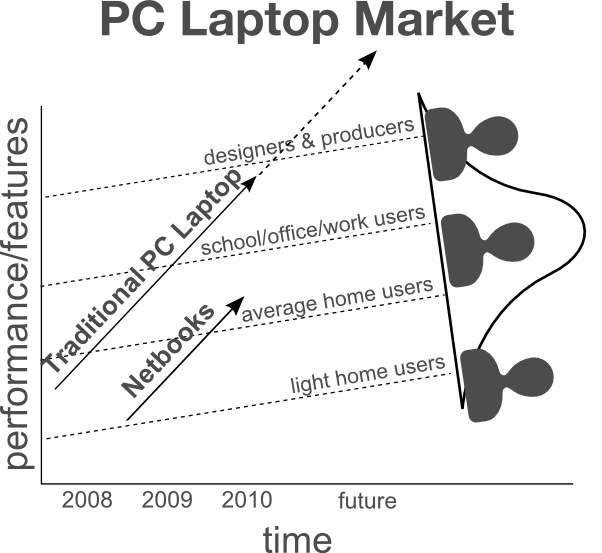 By 2008, netbooks were receiving a lot of attention from PC manufacturers because their sales growth in the PC laptop market was impressive and many wondered whether Apple had the right product line to compete given their Macbooks usually appealed to premium buyers. The primary idea behind netbooks was portability and low-cost relative to traditional PC laptops. At prices ranging anywhere from $200-500, netbooks were much more affordable than the full-featured $600-1,000+ laptops. College students in particular took notice of netbooks because of the low price and smaller/lighter form factor. Despite improved portability and price, netbooks suffered from low-powered processors which forced many OEM’s to load Windows XP (or Linux in some cases) over the newer Windows Vista or Windows 7. Other complaints were the lack of an optical drive, cramped keyboards and small screens. The term “netbook” went mainstream in 2007 when Asus unveiled it’s Eee PC – the first of the netbooks to gain significant traction. In the first four months of production, the Eee PC sold over 300,000 units – causing Dell, Acer, HP and others to take note and work quickly to launch similar products of their own. By 2009, netbooks were starting to gain so much traction that they could be described as a textbook case of “disruptive innovation.” A lower performance, lower-price product that only appeals to basic users that starts to gain significant traction in a market – a perfect example of Christensen’s theory. As attention for netbooks grew, so did the proliferation of “me too” products. Before long, Dell, HP, Acer, Samsung, Toshiba and others had all introduced their own version with minor differences. For Apple, this could be a potential problem. In early 2008 Apple launched the smaller and lighter MacBook Air but at a price close to $1000 the product appealed mostly to premium buyers. Despite Jobs’ public angst towards netbooks, in private he saw the sales growth of the Eee PC and knew there was an opportunity for Apple to participate in providing consumers with low-cost computing but he didn’t know exactly how. One thing he knew for sure was whatever Apple came up with would not be just another “me too” product. Every year Steve Jobs would organize a retreat for his top 100 employees at Apple. These meetings were meant to be secret and exclusive. At these retreats Jobs would lead discussions on the future of Apple and brainstorm ideas for future products. At one such retreat in 2007 Jobs pushed the team for ideas to do a low-cost netbook computer. During one of these sessions Jony Ive asked why a netbook needed to have a keyboard in the first place. After all, they had just successfully proven that a smartphone didn’t need a keyboard, why would a low-cost computer need one as well? Jobs agreed and with that as their vision for a low-cost computer, work on the iPad officially began. One of the hallmark competencies of Apple has been to develop compelling visions of a customer experience and execute that vision. While other companies would simply create “me too” products and hope to successfully ride the wave, Apple, especially during the Steve Jobs era, tended to create their own waves. One of the biggest misconceptions about Steve Jobs is that he would come up with a vision for an idea himself and go into a project knowing exactly what he wanted and direct his team to create it. In reality, it was rare for Jobs’ to know exactly what he wanted until he had seen a lot of options – or design prototypes – to choose from. In other words, Jobs’ creativity and development of a vision for a product often started by being shown numerous ideas, picking the few he liked best and refining those until his perfectionism was satisfied. Too often we get caught up in the myth of the lone inventor, thinking that some people are just born geniuses with an eye for the right things and we have little hope of achieving their level of thought. The truth is a lot messier. In Steve Jobs’ case, rather than generate all the ideas on his own, he preferred to see numerous ideas and pick out those that he liked the best – something most mortals can do just fine. Even still, there are a few areas in which Jobs excelled better than most such as understanding the deeper purpose of a product. 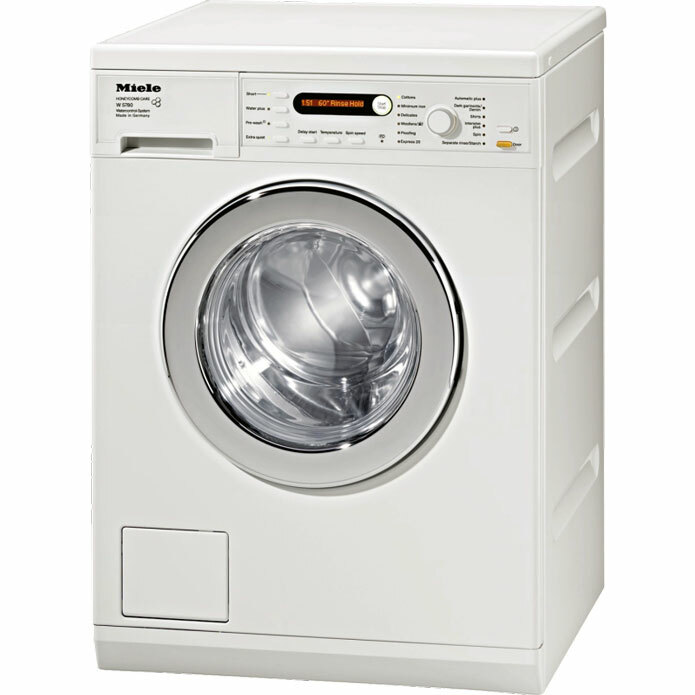 Miele washer, likely similar to what Jobs purchased for his family. Dryer not shown. Though it is in reference to a washer and dryer, the above story relates a few key principles that were mastered by the time Apple introduced the iPad – all of which fall under the umbrella of determining the purpose of a product. For Jobs’ family to make the right decision on the washer and dryer, they needed to think through what their values were and what product best fit those values. From the passage we can infer that they valued the design, their clothes feeling softer and lasting longer, and the machines using less water, etc. All these values added up to more than justify the trade-off of having to wait 30 minutes longer for their clothes to finish. Once these values and trade-offs were clarified, the choice became easy. 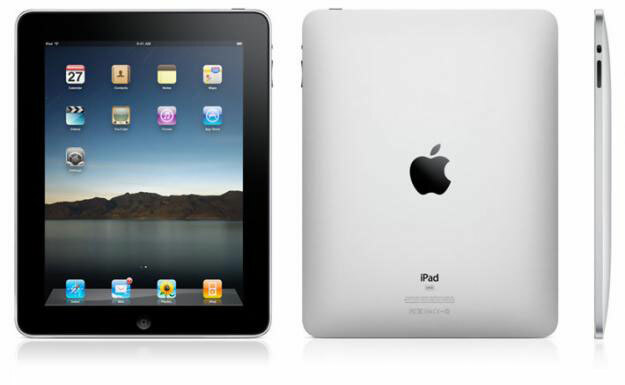 With the iPad, Jobs eventually determined that consumers valued greatly the ability to comfortably (e.g. while sitting on a sofa) browse the web, check email, view photos and video, listen to music, play games and read e-books. He felt that even though you could do this with your laptop or a phone, the experience was not optimized for those tasks in a casual environment. The iPad needed to do those better than anything else and did not need to be too heavily productivity focused (the Macbook’s purpose) or overly mobile focused (the iPhone’s purpose). This was the core purpose for the iPad. He was convinced that the experience the iPad offered needed to be perfect for those situations. Just like the Miele washer/dryer set, the iPad was not without it’s own set of trade offs. Some of these trade offs included removing the keyboard (it would be less easy to type on the much smaller on-screen keyboard) and being inherently less suited for productivity tasks such as creating office documents, etc. But those were trade offs that Apple felt the consumer would be more than willing to make in order to have an experience that was perfect for consuming content, rather than creating it. Even though we’ve defined the core purpose of the iPad, we still haven’t defined the essence of the iPad which can be described as a brief and more philosophical description of the purpose of a product. Another way to think of the essence is to define what part of the interaction between the product and the user is most valuable or most important. When it came to the iPad, Jobs and Ive eventually determined that it was the screen, it’s size, shape, clarity, capabilities, etc. that made the iPad important. Everything else (buttons, etc.) was a distraction and a candidate for elimination during the simplification process. 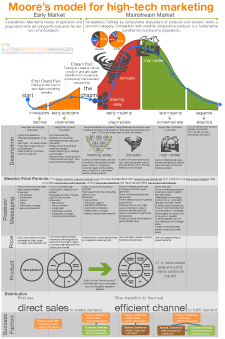 To summarize, the purpose of a product starts by knowing the customer values and trade offs then based on that information determining what the product must do better than anything else. Once that’s determined the last thing is to know what part of the interaction between the product and user is most valuable. See graphic below. Once Steve Jobs and Jony Ive determined the essence or purpose of the iPad, they made a conscious effort to remove anything else that would detract from that purpose. The result was an innovation the world had never seen before. And one that would disrupt the entire PC market, including and especially netbooks. When Clayton Christensen published his first article in Harvard Business Review on disruptive innovation, he used the example of hard drives to illustrate that large hard drives with large capacities (high performance and price) were “disrupted” time and again by smaller hard drives with smaller capacities (low performance but better at a few key things – size and price). 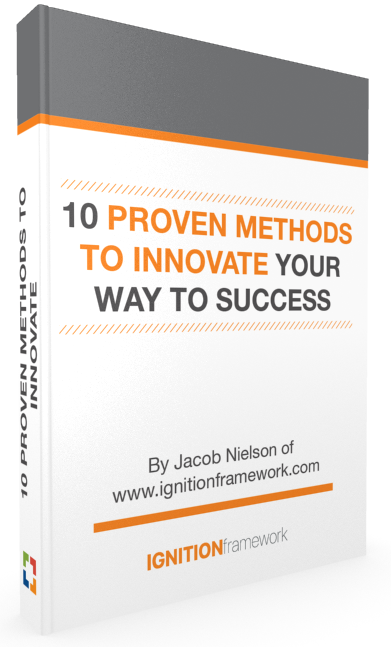 This analysis led to the fundamental insight of disruptive innovation theory. The same is true for netbooks. Because netbooks were simply a smaller laptop with less performance but at a much lower price, they began to systematically disrupt traditional laptop sales. 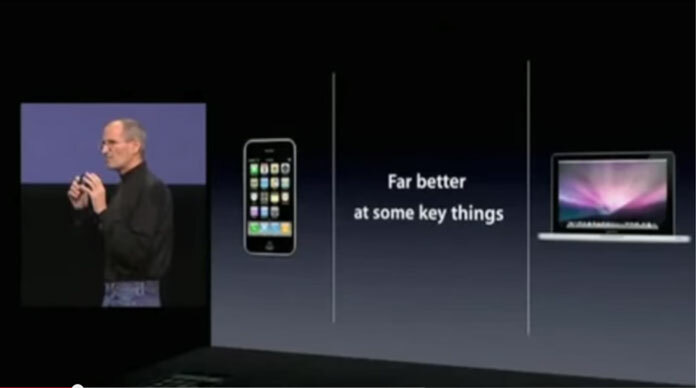 However, despite the rise of netbooks and their textbook qualifications as a “disruptive innovation,” Steve Jobs wanted to create what he called a “third category of device.” In his mind the iPad wasn’t necessarily about creating a “disruptive innovation” but rather about fulfilling the purpose of the product that was described earlier. Jobs felt that as long as he could make a product that was true to the original purpose that their team had established, of being better than anything else at comfortably consuming digital content, then it would justify creating a third category of device. This is a key principle in Clayton Christensen’s theory: a disruptive innovation is a focused product that does one job very well. The problem with the netbook is that it did everything a laptop could do, but because of it’s small size and low power, it couldn’t do any of those tasks very well. The iPad on the other hand is a much more focused device. The job it does better than anything else is digital content consumption. Productivity, content creation and other standard laptop, or netbook, capabilities took a backseat with the iPad. While the netbook’s low cost and small size did lead to some disruptive sales figures, which likely would have continued unencumbered if not for the iPad, the thing consumers really wanted was a focused device that was dedicated for digital content consumption. Note the sales data below. From a disruptive innovation standpoint, the iPad can be described as another, more successful attempt to disrupt the traditional PC laptop market. Said another way, both Asus with the Eee PC and Apple with the iPad were trying to disrupt the traditional PC laptop market but the iPad eventually won thanks to Apple’s laser-like focus on doing one thing better than anything else. Some might suggest that the iPad was a disruptive innovation to the netbook. Though the iPad did end up taking most, if not all, of the netbook market, I think it is more accurate to think of both the iPad and the netbook as two independent attempts to disrupt the traditional PC laptop market. The issue is the iPad was actually far better at a number of things than the netbook and doesn’t exactly fit the mold of “lower performance, lower price” relative to netbooks. In many cases, iPad’s were even more expensive than netbooks. Either way there was clearly a demand for lower-price/performance computing in the market and the iPad (or more generally, tablets) eventually filled that need better than anything else. For benefit leaders, any time you introduce a new product to market you will need to clearly explain the benefits of that product to your customers. Cost leadership companies, on the other hand, are often more successful when their communications focus on promotions. Allison Johnson: We Have Enough Companies Like Apple from 99U on Vimeo. This intense focus on educating consumers even extended to how the launch presentation was setup. Rather than demo the product standing up Jobs opted to show consumers how nice it was to “hold the internet in your hands” by browsing the web from a comfortable chair – the ideal use case for the product. 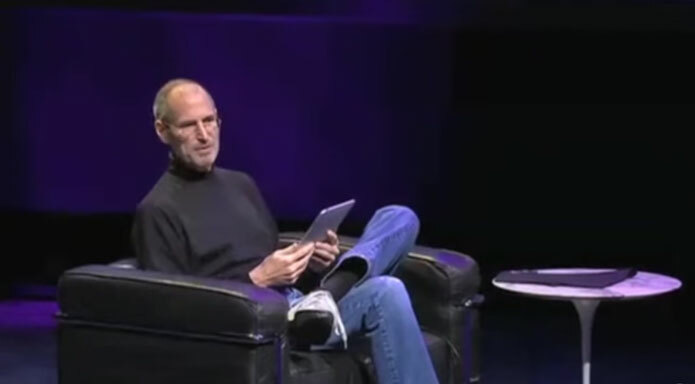 During the launch of the iPad, Steve Jobs showed the best use case for the iPad – browsing the web while sitting back in a comfortable chair. By educating your customers on the value of using your products, rather than pushing or promoting your products in a sales-like fashion, you put your brand and your company in a position to generate enormous customer pull. Over the years, Apple has refined their marketing messages to consist of simple, educational messages about how their products can change your life. The customer pull this strategy has generated as a result of this strategy is nothing short of remarkable. In many ways the iPad was the last great innovation that Steve Jobs personally announced prior to his death in late 2011. It ushered in a new category of devices that has taken the computing world by storm and forced OEM’s and software developers to quickly adapt to the new form factor. Microsoft has even gone so far as to pin its future on the idea that tablets will eventually completely displace laptops with the launch of their Surface Pro 3. Regardless of how the competitors responded to the iPad, Apple, at least during the Steve Jobs era, proved once again to the world that the company was an innovation machine. 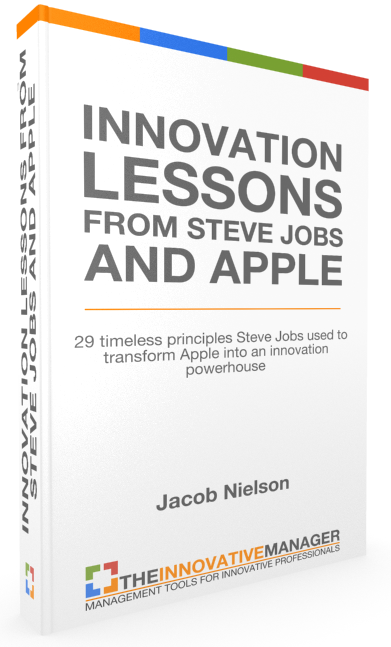 2 Responses to "7 Innovation Lessons From Steve Jobs And Apple: Story of the iPad"
Jake, wonderful article. Steve Jobs certainly is a wealth of business lessons in many areas. Steve Jobs started to focus his attention on netbooks – The iPad began development many years prior to the iPhone, and in fact the prototype was the basis for the decision to create the iPhone. The netbook fad was more of PC world obsession, and not quite the niche that the iPad was geared to. Thanks Ben for the comment! I’m interested in reading your book, sounds interesting!